The Training Laboratory of Monitoring (TLMMSEQ) is a structural subdivision of the Training and Scientific Institute of the Kharkiv National Medical University (KhNMU). In its activity the Monitoring Laboratory is guided by the Laws of Ukraine “On Education”, “On Higher Education”, Regulations on the State Higher Educational Establishment and other legislative and regulatory acts, orders of the Ministry of Education and Science and the Ministry of Health of Ukraine in relation to higher medical education, the Charter of the University, orders of the rector, decisions of the Academic Council and this Regulation. The activity of the Training Laboratory of monitoring is carried out in accordance with the plans of the Research Institute of the Education Quality. The training laboratory of monitoring and quality management systems was created with the aim of centralizing and implementing of new technologies and methods for monitoring the quality of education in the Kharkiv National Medical University (KhNMU). Development and organization of implementation of scientific and methodological principles of monitoring the quality of higher medical education in conjunction with the teaching-methodical department and the office of teaching techniques. 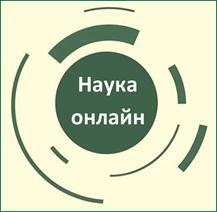 Searching, selection and using of software for the provision of educational process and research works of the Kharkiv National Medical University, maintenance and upgrading of the current software with changes in the standards and rules of software exploitation. Organization and conducting of systematic monitoring of the quality of education of students of the Kharkiv National Medical University and formation of recommendations for the improvement of all components of the educational process on this basis. Development and implementation of actions for the organization of a multi-level, ongoing system of preparation for the licensing-integrated exam, analysis of the existing system of students and interns training for compiling the license integrated examinations of the level “Step 1; 2; 3”. Organization and providing of rector's control of the knowledge vitality (in written and electronic form). Analysis of the results of rector's measurements of the knowledge vitality in order to compile analytical and statistical findings concerning to the improvement of organization levels and test quality control. Improvement of the practice of systematic monitoring of students' knowledge based on the Bank's test tasks “Step 1” and “Step 2” at all stages of training, from the first to the final courses. Analysis of the state monitoring of knowledge quality of students, changes in its quantitative and qualitative indicators. 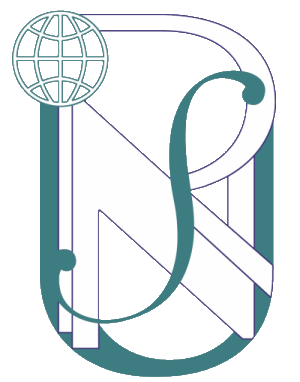 Organization of work of departments which conduct training on 3-6 courses on professionally oriented disciplines on the basis of a joint training center of the Institute for the Study of Practical Skills and Manipulation Techniques. Coordination of the work on drawing up the schedule of training sessions on the basis of the training center of the Research Institute for therapeutic, surgical, pediatric, obstetric and gynecological areas of training, as well as emergency assistance in urgent conditions. Creating conditions for the acquisition of the necessary medical practical skills provided by the Educative Qualified Characteristics among students and doctors. Conducting of the monitoring of mastering practical skills by students' of medical and dental faculties, reporting the results of monitoring. Methodical and organizational support of lectures, seminars and practical classes, field courses of thematic improvement and trainings, courses of information and internships for students. Studying the experience of similar centers of Ukraine and abroad and the implementation of its best samples. Analysis and generalization of the state of educational activity and coverage of the results of the Center's work in scientific publications, participation in seminars, conferences on monitoring the quality of education, training students of medical universities on practical skills. 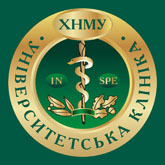 In order to ensure the current state of practical training of students for the development of practical skills, typical skills and manipulative techniques in accordance with existing cross-cutting programmes of training specialists, curricula and requirements of educational and qualification characteristics of the students of the Kharkiv National Medical University in 2015, simulation classes were created for the implementation of simulation training method with a wide range of simulators for working out practical skills with a high level of realism, computer and virtual simulation of various clinical situations is a new direction in the modern school of training highly skilled medical personnel of the higher and middle level. The purpose of this direction is to create organizational, teaching and methodological conditions for improving the quality of training, retraining and professional development of doctors, as well as for the development of professional competence of specialists of the Ukrainian health care system. - development of both individual skills and abilities of team interaction. 1. Individual training on mannequins (namely, conducting practical classes where students work out skills under the direction of a teacher independently). 2. Modeling of situational problems (namely, multi- step-by-step situations when a student is practicing practical skills according to standard medical aid schemes). 3. Teamwork skills in clinical situations (in this case students learn the process of co-ordinated work in the team). 5. Teaching by the demonstration of educational films created on the same mannequins with a different complex pathology. 7. Integration of teaching-educational complex into the lecture process. 8. Inter-departmental integration (namely, the simultaneous work of two or more departments on the same mannequin in the form of work in a virtual operating system such as the Department of Anesthesiology and the Department of Surgery). Up to date, five educational virtual clinics have been set up already at the educational and research institute of the KhNMU in the following areas: pediatrics, surgery, obstetrics and gynecology, therapy, emergency medicine, equipped with exercises machines and simulators. This equipment is actively used in the educational process during practical classes with students.